It’s over! It’s finally over! Go away winter and never come back! Spring has sprung and I can hear the echoes of these cries on the ever warming breeze. The days are becoming visibly lighter for longer, the air around us is (theoretically) becoming ever more temperate and we at GoShindig can start to look forward to the picnic season with much verve and gusto. Spring picnics afford us the chance to start afresh if needs be. If there was something that you weren’t particularly happy with in last year’s picnic arsenal, now is the best time to ditch it and try something new. The majority of my new purchases are in the spring months. 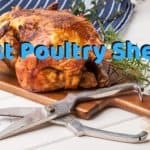 Items tend to be a little bit cheaper and are widely available in stock, opposed to summer time when you might be waiting a couple of weeks for certain things. 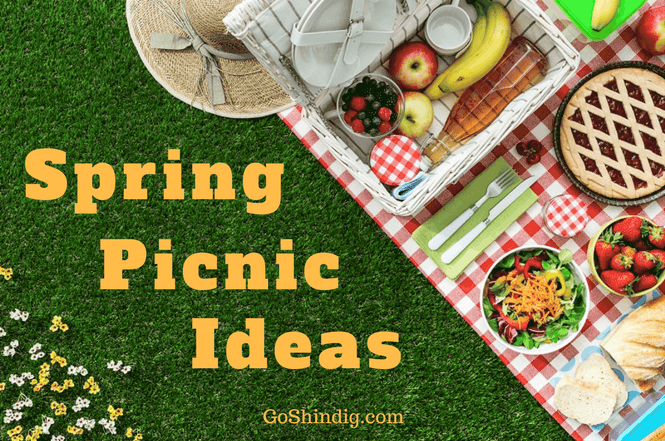 Spring picnics also allow us to road test all those ideas we’ve been hoarding throughout the winter months. I can’t even begin to explain how many things I see on cooking shows that even though they can be made in my kitchen, will not be thought of as a success or a failure until it is in my picnic basket and enjoyed (or not) by myself and friends. We have written previously about fall picnics and you will find that they share a lot of similarities with their springtime compatriots. There is similar weather shared between the two which means that a lot of what you may need to pack will remain the same. Without wanting to sound like Captain Obvious however, please keep in mind that spring is turning into summer as opposed to fall turning into winter which means the longer the two seasons stretch, the more dissimilar they become. This means packing stronger sun protection, more ice packs, better insect repellent and more water for any pets the further into spring you get. Again, sorry to sound patronizing but sometimes the written word can be taken a little too literally sometimes. With that said, what you will find below are some essential picnic ideas for the spring that should cover most bases. We will advise you what to bring for the time of year, what foods would be enjoyed the best and where are the best places to head to in the spring time. Spring time can often flatter to deceive. You can get early blooms of gorgeous weather which tricks you into thinking that winter is well and truly behind you, and then …… POW. Full on Arctic chill blasting in to troll you mercilessly. Being quite a boring person, I tend to keep an eye on when the bad weather finally diminishes for future reference and from my entirely non-scientific observations, we are not out of the woods until the middle of June. This means when packing for spring picnics we can’t allow ourselves to be tricked into thinking it is mid-August, even if we have been experiencing some damn fine early spring temperatures. Packing sensibly, for all weather permutations will not only allow you to continue your picnic if so required, it can help us achieve a better picnic experience for all involved. Below are some essentials that you need for your spring picnic. Face wipes. Picnic 101, you can’t go anywhere without these unless you want sticky fingers to be apparent all over your clothes and your car. Sunscreen. A whole winter has come and gone and unless you’re enjoying the lifestyle of Rich Kids of Instagram, your skin is unused to the sun and its effects. Help yourself out by applying sunscreen, even if you do normally go without in peak summer. Thick sweater / hoody. It’s not going to be bright sunshine all of the time. Make sure you pack some suitable tops for when the temperature invariably drops. It will help you prolong your day out by a couple of hours if needs be. Large umbrella. As suggested in our fall article. If you really need to continue your picnic but the rain comes, an umbrella is a handy thing to have around. Gathering underneath whilst it’s raining outside is a lot more fun than it may sound. Suitable picnic blanket. Again, as suggested in our fall article, look to bring a picnic blanket that offers the best protection for you for spring time conditions. This means having one that is water resistant due to either grass with lots of dew on it or grass that is recovering from some rainfall. Repellent. The days are getting steadily hotter which in turn brings out the bugs. Make sure you’re suitably protected from these by reading our article on the different repellents available. Spring time brings with it a wide selection of options when you are thinking of places to have your picnic. Each one brings unique variations that are enjoyed at this particular time of the year that makes it an intriguing choice should you opt in. Parks. I love being outdoors, as I’m sure this website will convince you, but my absolute favorite thing about being outside is the smells. Right at the top of smells that I adore is freshly cut grass, which just awakens something in me when I sense it for the first time of the year. Parks are obviously the number one place you would go to experience the first wafts of the year and that is why they are my go to destination for spring picnics. Along with beautiful smells, you will also get some visual treats when you visit parks in the springtime by getting to see some of the trees in bloom. It all makes for a very serene scene. Beaches. Obviously, as the weather improves throughout spring, you will need to cool off with increasing frequency. You can either buy yourself a fan or do what the rest of us do and jump in some water. Being on a beach not only affords you this luxury with ease, it also provides everything you need to enjoy a great picnic. There are always amenities close by should you forget or lose anything, public services are at hand like toilets for example and there are wide open spaces, either in the water or on the sand for you to really have some fun with a few games. The beach is a great place to be, I might just advise waiting until later in the season. Nature reserves. If you’re lucky enough to have a nature reserve close to you then springtime might be the ideal opportunity to pack your picnic basket and have a day out. Spring time brings with it a lot of new life as migrating birds return from their winter break, mammals come out of their winter hibernation and a whole new set of baby wildlife is born. Taking young family members out to see this is especially rewarding as they accustom themselves to new surroundings and new sights and sounds. The good thing with nature reserves is that there are normally an abundance of picnic tables that you can set yourself up at. Public gardens. These tend to be somewhere in between a park and a nature reserve in terms of what you can experience. Like parks, public gardens have a lot of green space and can provide you with some of the most amazing sights and smells. Spring is when the flowers will start to bloom and so it turns the gardens into a hive of activity. Like nature reserves, you will find some unique wildlife when you visit public gardens in the spring. From caterpillars and butterflies to bumble bees and dragon flies, there are a whole host of things to do and see. Bringing a picnic along only enhances your experience as you get to enjoy some great food in beautiful surroundings. Spring is the time of year when you can start packing away your vacuum flasks and soup recipes and start concentrating on lighter, healthier snacks that will aid your journey into the summer months. Seasonal fruit and vegetables reflect this and lend themselves towards making some great fresh salads, appetizers, mains and desserts. 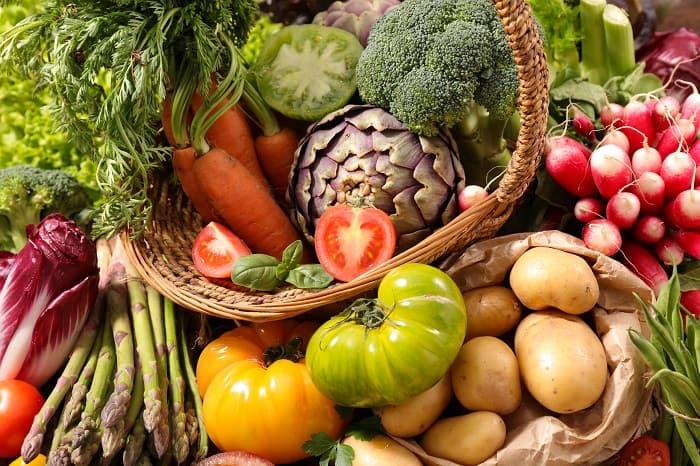 Using seasonal fruits and vegetables is preferable to using canned or packaged varieties as the goodness that comes from the vitamins and minerals is at its peak. As soon as we start preserving our food we start to lose these essential V+Ms so eating them whilst they are in season is a fantastic way of maximizing putting goodness into our bodies. Artichokes. People are sometimes put off artichokes as they have a reputation of being difficult to prepare and cook. Follow this article on good preparation though and you will have one of the most mysterious, tastiest and versatile vegetables in your picnic basket. I like to keep it simple and just have grilled artichoke with salt and pepper but you can find some great recipes here. Spinach. It’s so, so good for you and is responsible for vitamins and minerals such as vitamin A, C, E, and K and minerals such as Calcium, Iron, Magnesium and Potassium getting into your body. Spinach can be used in many things like lasagna or cannelloni but for the springtime picnics you just can’t beat a nice fresh salad stuffed with spinach leaves. Store them in a Mason Jar to keep them fresh and appetizing looking. Asparagus. Yes, asparagus does make your number ones smell like cereal, but my word isn’t it worth it? Asparagus is another vegetable which is full of vitamins and minerals which brings with it many benefits. This is another vegetable which I like to eat simply. Again, just by grilling and adding some salt and pepper. There are many things you could do with asparagus apart from this such as wrapping it in a cured ham such as Parma and grilling it or using it to dunk into a soft boiled egg. There are many other recipes available to get the most out of this great vegetable. Seasonal fruits. 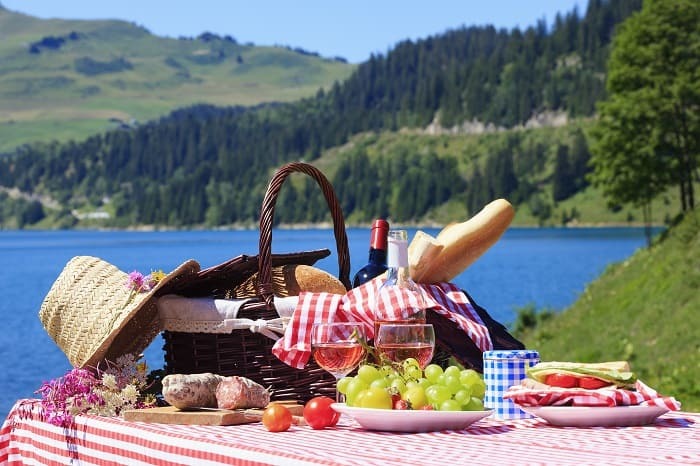 Apricots, honeydew, lime, lychee, Mango, oranges, pineapple and rhubarb are amongst a number of fruits that are available to be enjoyed on your picnic blanket. You can make tarts and pies out of them, make some great seasonal smoothies or you could just enjoy them raw. Whatever way you choose to enjoy these fruits you know that you are getting to taste then whilst they are at their peak. Spring time really is the best time to start bringing out your favorite wines. The first glass of Prosecco of the year really is a defining moment and signals the start of the true picnic season. Remember to bring with you a quality wine tote that services your needs and will keep your wine suitably chilled for prolonged amounts of time and you will not be sorry. If alcohol is a no go for you, whether it be driving commitments or child responsibilities then you can never go wrong with a fruit punch. Spring is the time when the best fruits will be available to you. Just pack your cooler with plenty of ice packs and enjoy some guilt free refreshments.